Unfortunately before you go getting too excited, no Bath & Body Works isn't shipping to the UK. But I've come across a site where you can pick B&BW things up from. 'We have a network of shoppers in the USA so we can bring this exclusive range to the UK. We stock a large quanitity of the favourite fragranced bath and body lines so if there is something you do not see let us know and we can get it in for you within 2 weeks just drop us a line'. I only picked up a few things for now. I really want to try the Slatkin candles soon though. 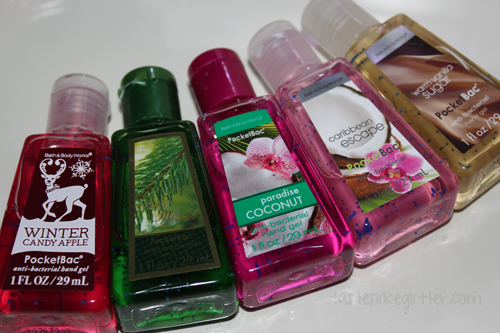 Winter Candy Apple, Apple Wreath, Paradise Coconut, Caribbean Escape, Warm Vanilla Sugar. Vanilla Berry Sorbet, Fresh Picked Strawberries, I Love Cookie Dough, Sugar Lemon Fizz, I Love Cake Frosting. I also picked up the bottle holder so I can attach it to my key chain for work. 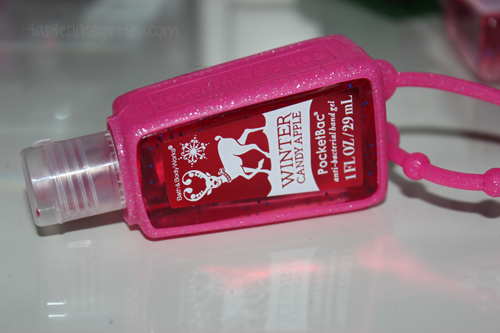 These 'PocketBac's are fab, I've only tried one before (Caramel Apple) and it got me hooked. 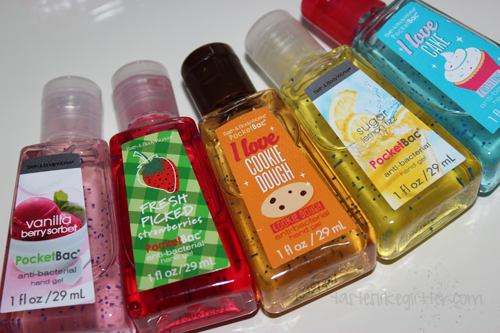 I love all the ones I picked out but my favourites have to be I Love Cookie Dough and Paradise Coconut. Not only do they smell amazing, they leave my hands feeling clean but without drying them out. I have a bit of cleaning OCD at work, everything is touched by everyone else so I like to keep my hands clean. These are perfect for that and with things like Carex alcoholic hand gel, I used to find they'd bring out my dermatitis. Delivery was super speedy for this. I ordered early evening Monday, it was dispatched on Tuesday and arrived with signed for delivery on Wednesday. No faults to report! I'm super happy with this, especially as it was my first time ordering. Definitely recommend if you want to try B&BW but don't have any plans to venture across the pond. 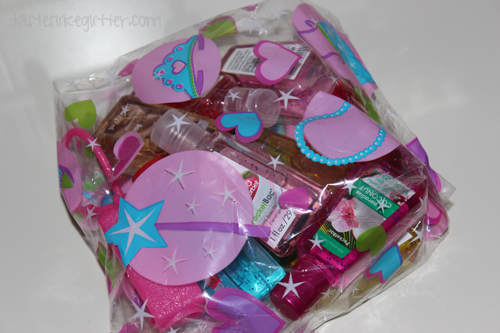 They have most of the body products, not just the PocketBac's. They also carry some other brands - Bomb Cosmetics, Burts Bees, Jelly Belly, Lipsmacker, NYX and Victoria Secret. Now the only problem I have is deciding which ones to use next!